When a prospect clicks onto your website or landing page, what do you want them to do? How about if they open up one of your emails, or see one of your social media posts? “I don’t know” doesn’t count. As someone in the mortgage, real, estate or insurance business, you can never forget that the lifeblood of your income is from sales. Think of your conversion funnel as a salesperson that you never actually have to hire. If you have a clear map in your head and understand the exact steps for creating a conversion funnel, then your web presence can make sales even while you’re sleeping, or on vacation. At the very least, it can land you fresh, qualified leads that you can follow up with when you’re back in the office and ready to serve your clients and business partners. But none of this will happen if you have no idea what I’m talking about. And that’s what we need to change today. If you don’t have an effective, well-defined conversion funnel for your website or other marketing efforts, then you’re not doing as well as you should be. If that sounds like a sweeping generalization, then consider this: do you usually perform better when you plan your goals in advance—or when you just hope they magically happen one day? According to Neil Patel of QuickSprout.com, you can’t just think about your conversion funnel. You have to sit down and define it—preferably by writing down specific goals and steps to make them a reality. But before we get ahead of ourselves, let’s do something even more important: let’s define what your conversion funnel should look like. Sound confusing so far? Well, let’s make it simple. The first element of your conversion funnel should be developing a compelling, benefit-rich offer designed for a specific, clearly defined potential customer. Actually, let me back up for just one second. If you don’t have a clearly defined potential customer, you’ll need to create an “ideal customer persona”, also known as a “perfect client avatar”. …That’s actually going to be your starting point for any marketing campaign. It will help you figure out exactly who it is you’re marketing to, and what are the “whys” behind the wants. If you haven’t done this yet, you’re in luck: I’ve created a workbook to help you develop your “ideal customer persona”—100% free, no opt-in required. So grab that, dive in, fill out the workbook, and then meet me back here. Ideally, you present your compelling offer on a landing Page using strong, concise call-to-action messaging. This is one of the main elements on your landing page that draws the attention and piques the interest of the potential client. The next element of your conversion funnel should include some element of value for consideration. This might be something as simple as a potential lead requesting a quote. The final element of your conversion funnel will be, you guessed it: conversion—when the lead becomes a genuine customer. There can be other elements added to the beginning or end of this sales funnel. You might include “Engagement” on social media before the capture. Or you might include “customer retention” after the sale to ensure that you follow up. As you see in our example, all three steps are addressed with a simple model. But why do you need to put this plan to paper? If you set a goal of $10,000 in sales commissions for the month, that’s a measurable variable. You can look at your books and check off the box. Either you hit the goal or you didn’t. That’s good. It’s how you create real, measured growth and how you hold yourself accountable. For example: do you know what percentage of customers who hit your website or landing page clicked on your Call to Action? Do you know how many of those people became genuine, qualified leads? And of those, do you know how many converted into closed sales? If you have a defined sales funnel in place and you actively measure it, then you will know these numbers. Even if you don’t know them off the top of your head, you can look them up at any time. This enables you to run A/B split tests and see which variables, such as: traffic sources, landing page copy, button colors, form setups, etc., successfully move more people through the funnel than others. The more you measure, the better you understand what truly reaches your audience of potential clients and persuades them to take action. Without measuring these critical elements, you’re simply guessing. And that guessing could be costing you business on a daily basis. The beauty of a conversion funnel is that it allows you to measure your customer engagement at every step in the process. 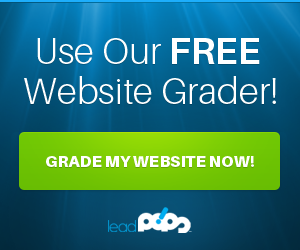 On a website or landing page, you can measure total traffic. And that’s great. But you can also measure how many people click through to your call-to-action. Without an effective conversion funnel in place, it’s tempting to look at total traffic to your web pages and consider your marketing efforts successful. After all, a lot of traffic has to mean a lot of engagement, right? Through the prism of a conversion funnel, you realize that nothing really matters until you capture genuine leads and are able to use your web presence as a source of actual business, consistently. If you generate a million visitors every single month, it won’t really help you if your conversion rate is 0%. But if you generate just five hundred visitors every month, and 5% of those visitors become exclusive leads, you’ve created a real source of potential revenue, especially if your lead-to-sale conversion rate is 10% or higher. 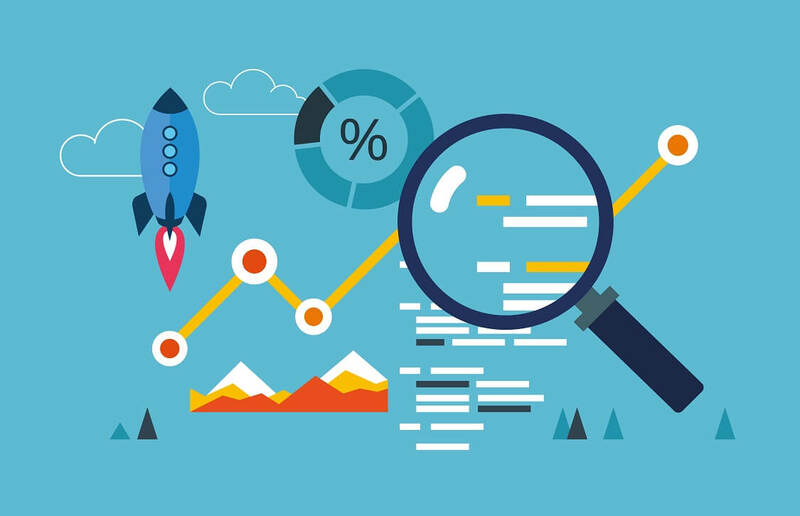 Without this essential emphasis on actionable data, you don’t know how well your website or landing page is generating leads. And you certainly don’t know how it’s impacting your bottom line. If you’re convinced that having a clear, defined sales funnel is integral for your business, then you’re ready to get started. Pen and paper or Evernote. Seriously, sit down with a pen and paper, or open up Evernote, and write down the main goal of your conversion funnel. How will your potential customers reach you, and then, how will they then become tangible leads? Create a compelling offer. What is it about your conversion funnel that will compel people to click through to the next step? Are you offering them a customized pricing scenario? A free 1:1 consultation? A no-obligation credit analysis? An invitation to a first-time homebuyer workshop? Sending them a free, unique “insider” report? Giving them “instant access” to a list of hot foreclosures and “coming soon” real estate listings in their area? Without a compelling offer, you can’t expect people to move through your funnel. 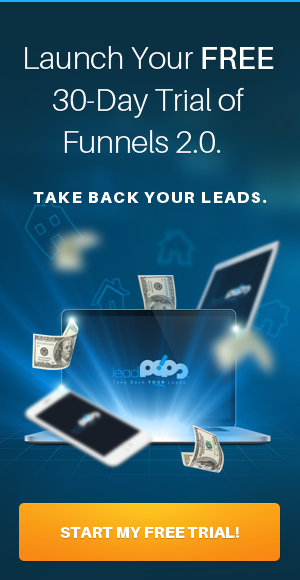 Try a free trial of leadPops for instant access to proven, high-performance lead conversion funnels, custom tailored to help you get the kinds of clients you want, whether you’re in mortgage, real estate, or insurance. There’s an old saying in business: if you fail to plan, you’re planning to fail. Nowhere is that more apparent than in defining a conversion funnel for your mortgage, real estate, or insurance practice. The good news is: it’s not as difficult to put one together as you might think. Simply follow the steps outlined in this article and you can create a high-conversion funnel that’s measurable, clear, and ultimately, successful in helping you generate more qualified leads and increase your sales.